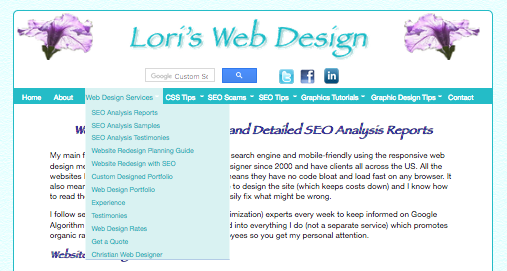 Horizontal Menus should only be applied to a website with a few links and no drop downs. Following is a simple horizontal menu sample designed with HTML and CSS to control mouseover colors. You can change the link colors replacing the code for color in each one and adjust the font size, and if you don't want an underline just replace it with "normal". You can then copy the code below into your files. Vertical list menus are usually not suitable for small mobile devices because they take up valuable space either on left or right side of the page usually within a side bar. 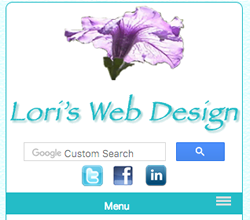 However you can use short menus within your content area. The link colors, mouseover colors and line height are controlled by CSS.